Red Cross warns of growing risk of nuclear weapons - SABC News - Breaking news, special reports, world, business, sport coverage of all South African current events. Africa's news leader. 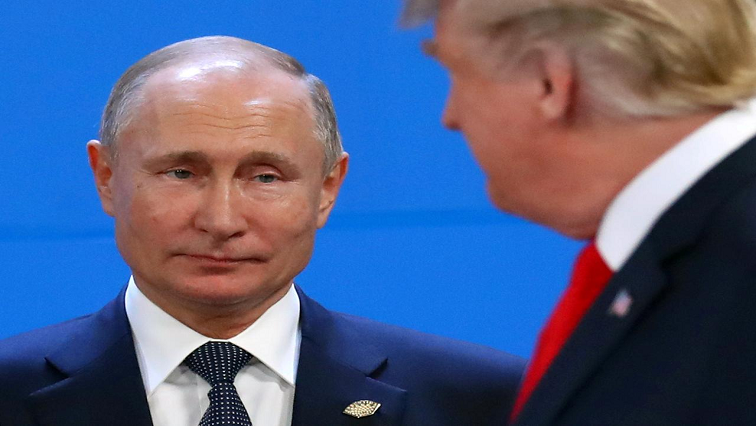 US President Donald Trump announced that Washington was beginning a process to withdraw from the Cold War-era agreement and Russian President Vladimir Putin quickly followed suit. The notonukes.org campaign comes after the United States and Russia ripped up a key arms control treaty, with US President Donald Trump announcing that Washington was beginning a process to withdraw from the Cold War-era agreement in six months. Russian President Vladimir Putin quickly followed suit, saying Moscow was leaving the treaty and would begin work on new types of weapons not permitted under the 1987 deal. “74 years after nuclear weapons obliterated the Japanese cities of Hiroshima and Nagasaki, the risk that nuclear weapons will again be used is growing,” the Red Cross organisations warned. The Red Cross said the campaign aimed to shine a light on the “catastrophic humanitarian consequences of a nuclear war.” It also aims to encourage people to lobby their governments to sign and ratify the UN Treaty on the Prohibition of Nuclear Weapons (TPNW), which has so far been signed by 70 nations and ratified by 21. “At this moment of growing international tension, I call on everyone to act with urgency and determination to bring the era of nuclear weapons to an end,” Maurer said. This entry was posted on 08 Feb 2019,03:20PM at 3:20 PM and is filed under World, Homepage Latest Stories Slider. You can follow any responses to this entry through the RSS 2.0 feed. Both comments and pings are currently closed.